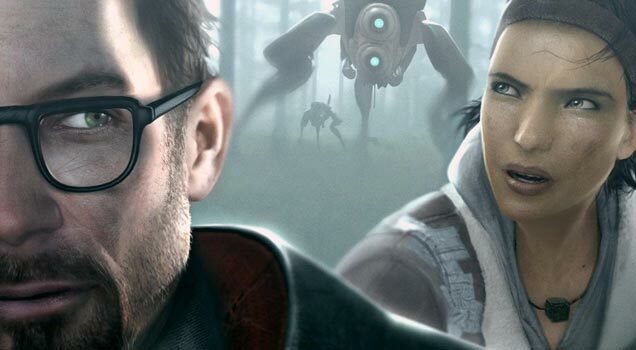 Could an open world Half Life 3 be closer than we think? Half Life is one of those franchises that is huge with gamers, it isn’t like the Call of Duty franchise, which sells well but gathers mixed reviews from gamers. It is one of those games like Skyrim, with a huge cult following. This is probably why Half Life 3 is one of the most anticipated games, even though it still isn’t officially being made. Valve have been very quiet about the launch and Gabe Newell, head of Valve, has kept a level head and not revealed any game news or hints when in interviews. French gaming websiteLe Journal du Gamer apparently talked to a source that is working on Half Life 3 and according to the unnamed source, the game is set to be more open world and will feature more mapping area to explore and side-missions, as games like Fallout and Grand Theft Auto have. The source also said that this isn’t the first time Valve have opened the Half Life 3 project up, with several iterations and story plots being cast before this one and being thrown away. This time, they went with something different, an open world area for their gamers to play endlessly. On theSlashgeararticle about this issue, many Half Life gamers said this would ruin the games purpose and we are seeing again the ideology that a game cannot be configured or set out differently from the past versions. While it doesn’t do much for Valve, who may want to have a new idea or take on the Half Life universe, it shows that the Half Life community is eager to put forward opinions. Valve is currently working on a new gaming engine but has declared they have no game as of yet to use the new engine on. The game will apparently be coming out around 2013, hopefully in the spring, as many other big titles are. With Bioshock Infinite and Grand Theft Auto V coming spring-time and Fallout 4 apparently being prepared by Bethesda for that time range as well, it is certainly an exciting time for gamers.